Just another one of those tiresome views from our tent. 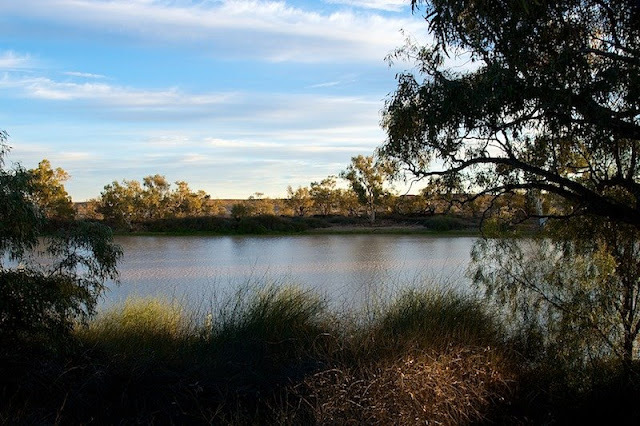 Cullymurra Waterhole is on the Cooper, about 15 kilometres from Innamincka, and within a stone's throw of the place where explorer's Burke and Wills shuffled off their respective mortal coils. To be more accurate, it's a stone's throw from Burke's final resting spot, Wills made it another twenty or so kilometres. I'm enjoying the tiresome views.